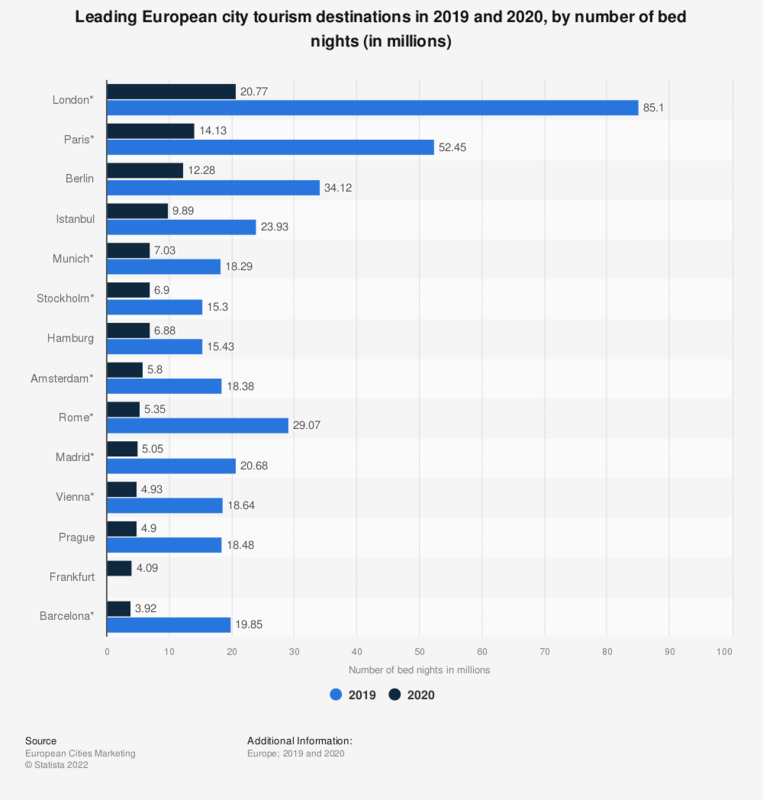 This statistic shows the leading European city tourism destinations in 2017, by number of bednights. London was the most popular European city destination in 2017 with approximately 79.87 million bednights. In 2017, London had the third highest international visitor spending in the world. Dubai had the highest at 29.7 billion U.S. dollars. New York, which had the sixth highest visitor spend, was the leading city destination in the United States in terms of international visitor arrivals.